We had another great day on the greens. The pelicans are still around and hunting for food! We did Happy Hour with Monica (good to see her). 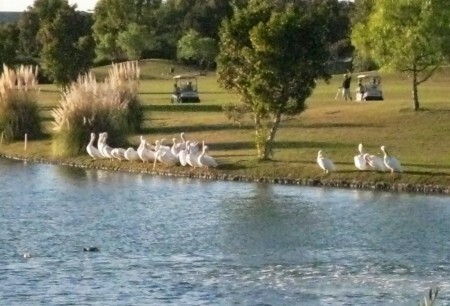 The American Pelicans were waiting around to see if they could spot some dinner! We headed for home and did a triple-play with Christmas movies! We are getting in the mood… especially since we have to decorate starting this Friday!